From what was meant to be just a bank holiday weekend in Amsterdam turned into a two city breaks in one weekend. As it was bank holiday we thought what the hell may as well make the most of the time and looked where we could fly from Amsterdam cheap! 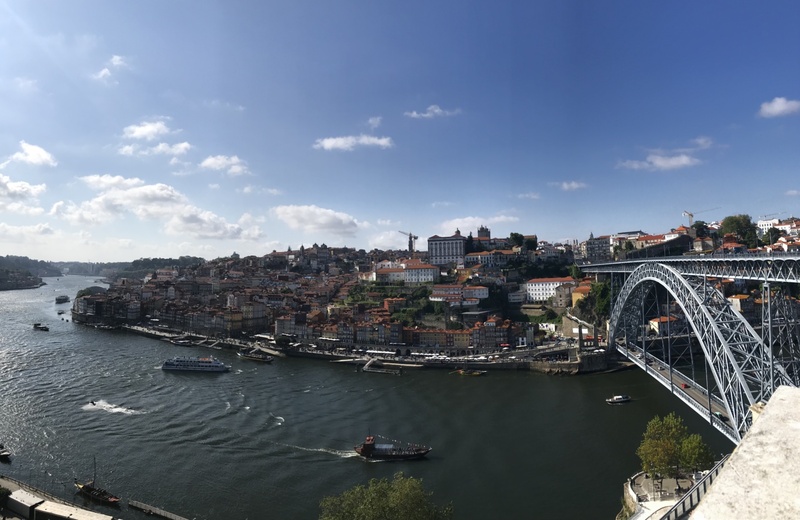 And off to Porto we went! What a brilliant choice it was we made!!!! I did not expect how much I would fall in love with this city! 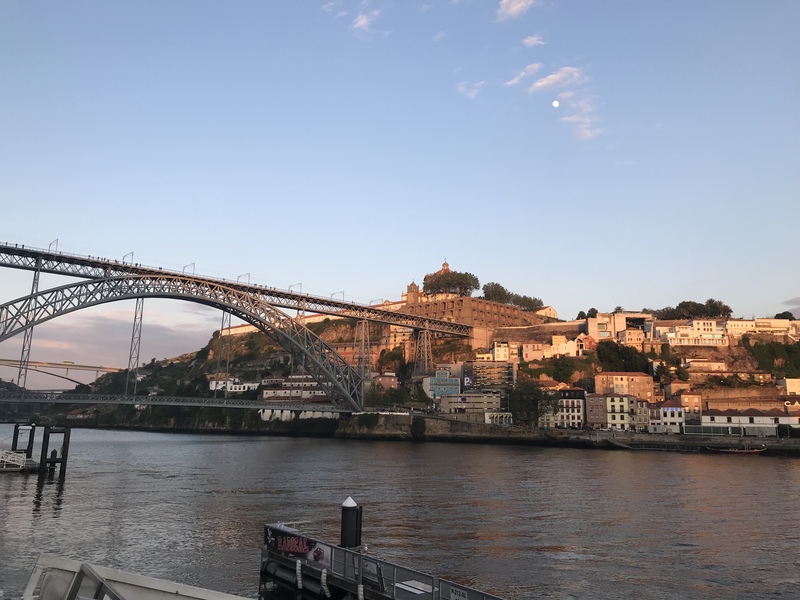 We arrived into Porto just before 6pm. It didn’t get off to a great start initially we could not work out the tram/metro system the way we normally get into a city (its wayyy more cost effective). In the end UBER won out and we went straight to our Air B&B. It was much simpler a 22 minute drive for €15. We stayed in the cutest apartment small but perfect for what we needed and modern. 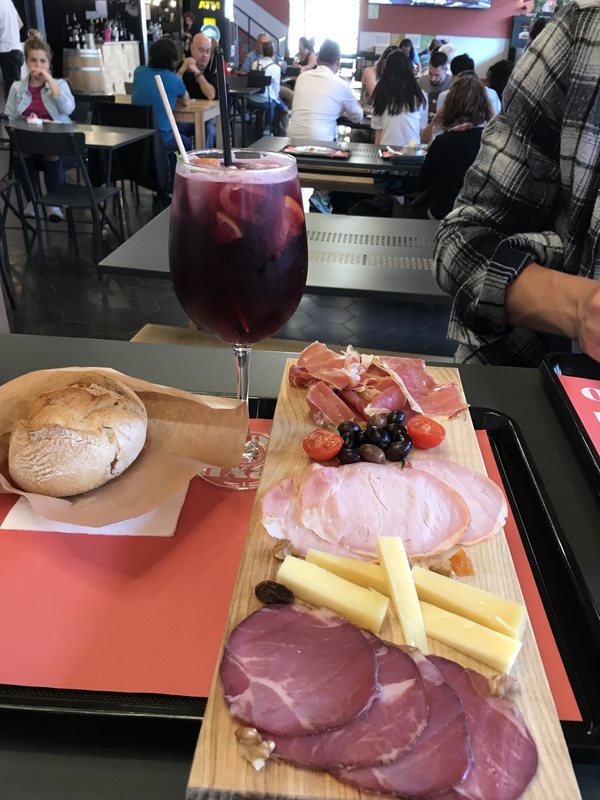 Close to everything we needed and a super amazing Air B&B host who not only gave u the best recommendations of what to see/do/eat but also a small carafe of Porto wine. 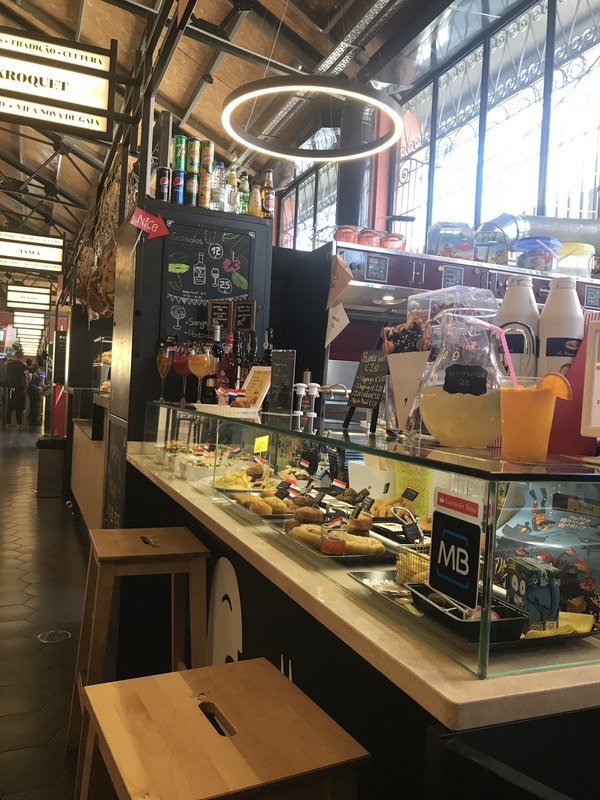 Located in São Bento in the city it was perfectly located for what we wanted. 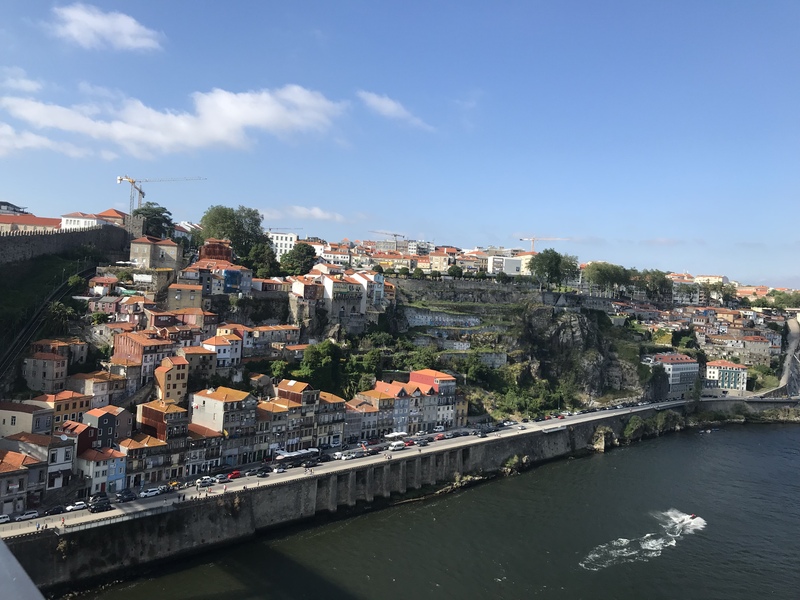 It was a very short walk to Ribeira and local bars. 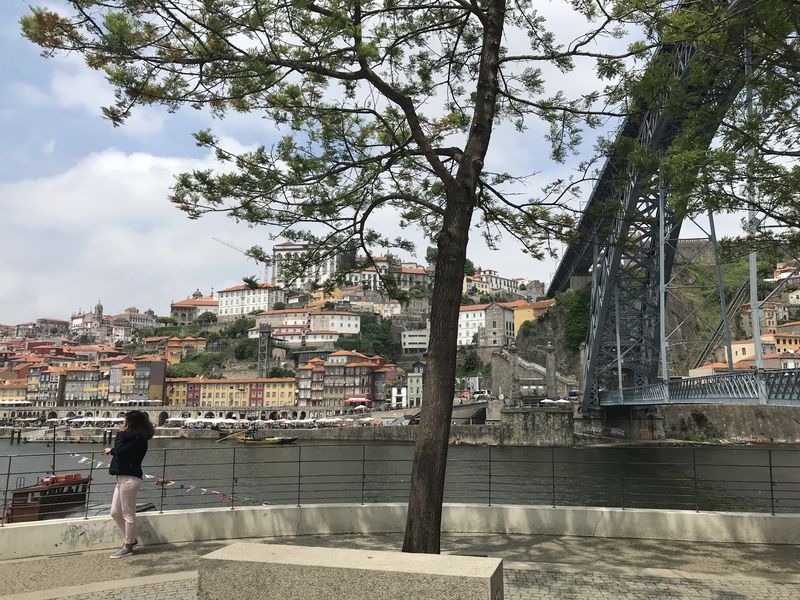 After getting in and a quick change and spruce up we headed to Porto’s Ribeira. 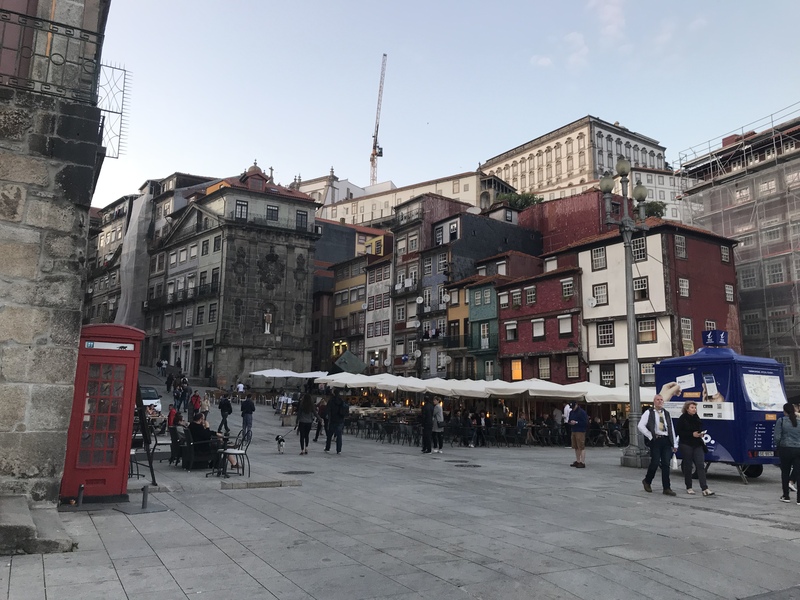 Porto’s riverside quarter, known as the Ribeira, is one of the city’s oldest neighborhoods and certainly one of its highlights. 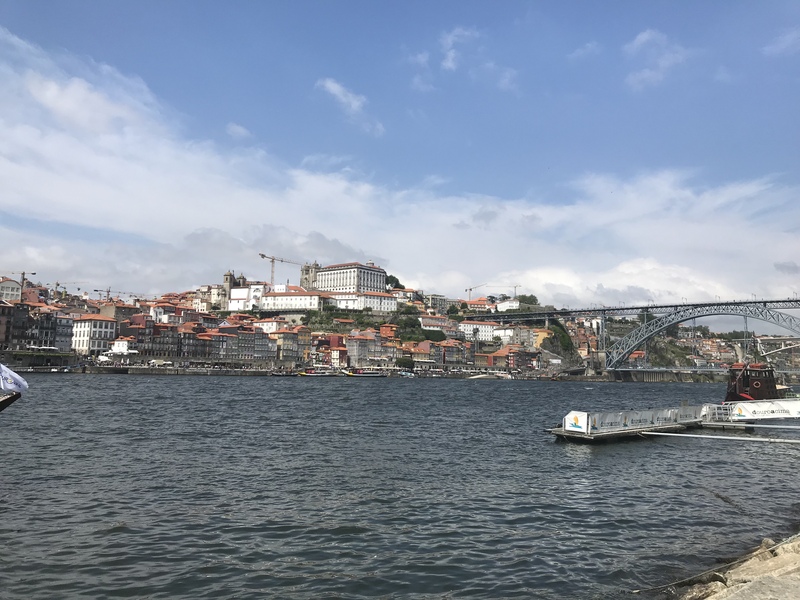 The waterfront (Cais da Ribeira) is long strip of cafes, restaurants and shops overlooking the river was my favourite place in the city. 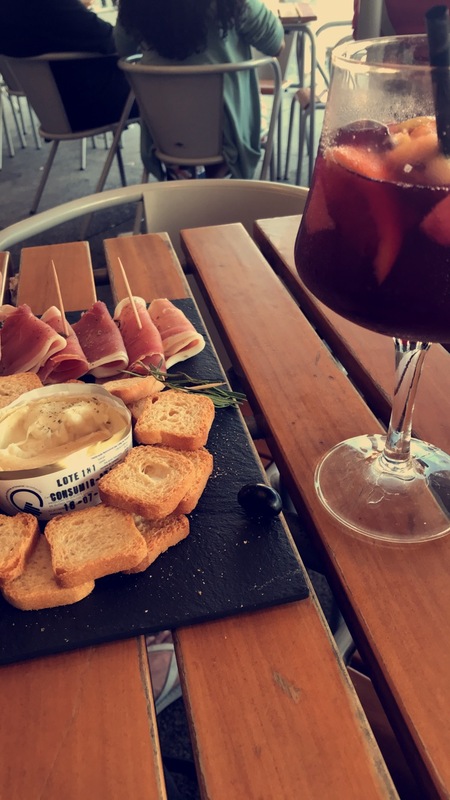 We had drinks at O Buraquinho Vinhos & Petiscos followed by some cheese and meats. Perfect start to the trip overlooking the starting of unset on the Luís I Bridge. Moving along the river we stopped at Cafe Do Cais Porto stopping for wine and Chorizo which was divine btw. Breakfast the first port of call in the morning advised by our Air B&B host. A massive portion of eggs at Sabores da Invicta followed by pastries. All for €19. 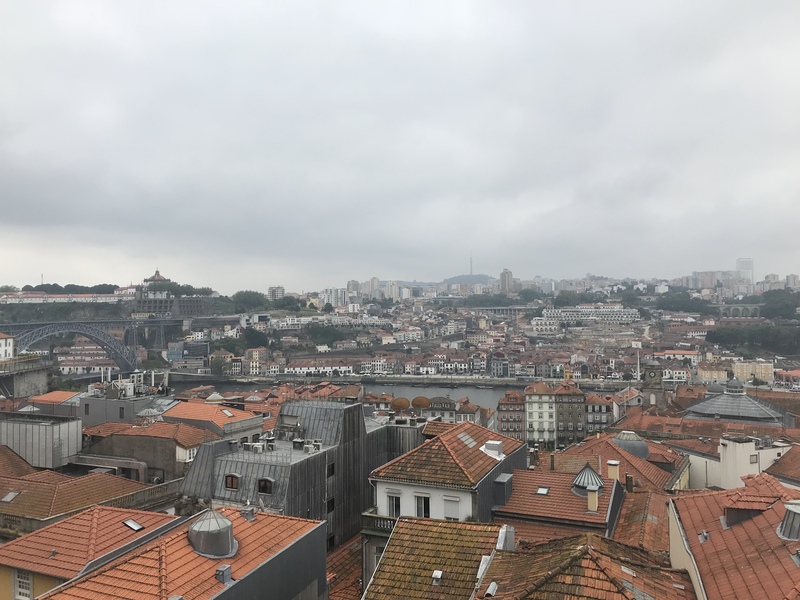 We walked to a close by View point we had been told about to get a view of higher in the city, unfortunately the weather was dull first thing so it wasn’t as pretty as it could have been. But it was quiet which was a bonus, a good spot to come to at sunset. As it had been cloudy we decided to head to Livraria Lello in Porto’s city center is one of the worlds most stunning book shops. 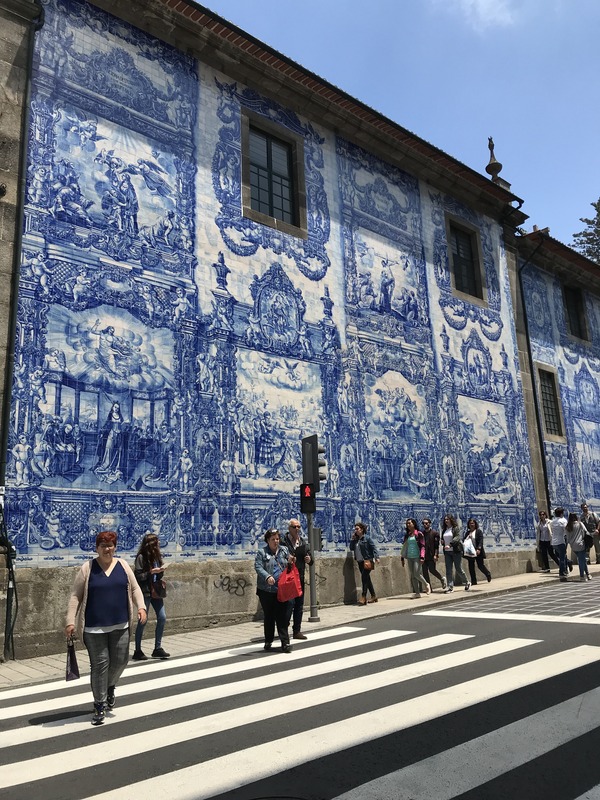 It was known to be visited by JK Rowling, author of the Harry Potter series, when she taught English in Porto and is reported to be an inspiration for her writing. Wandering the beautiful place you can tell it was like walking into a harry potter esque place. Tickets cost €5 from around the corner at a little shop before entering. Igreja de Sao Francisco The golden church was next followed by Placio De Cristal in the Buen Retiro Park. From the park there is a great view of the city below. It was quite a walk from the city but well worth it, to save your legs grab a Bus/Uber. Both are easy to get around the city you could get the tram from down the river which also takes you to the beach. 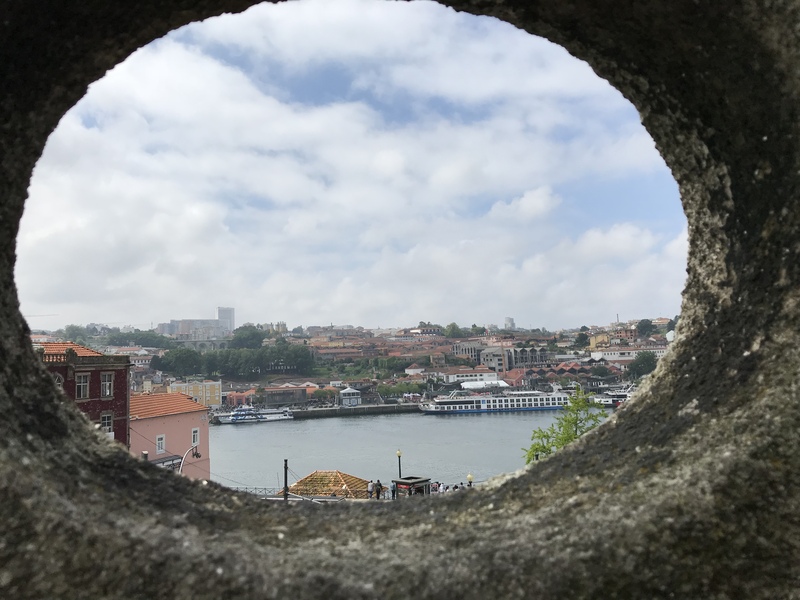 After a morning of wandering the new city we headed back to Ribeira before heading over the Luís I Bridge to Vila Nova de Gaia (Gaia). 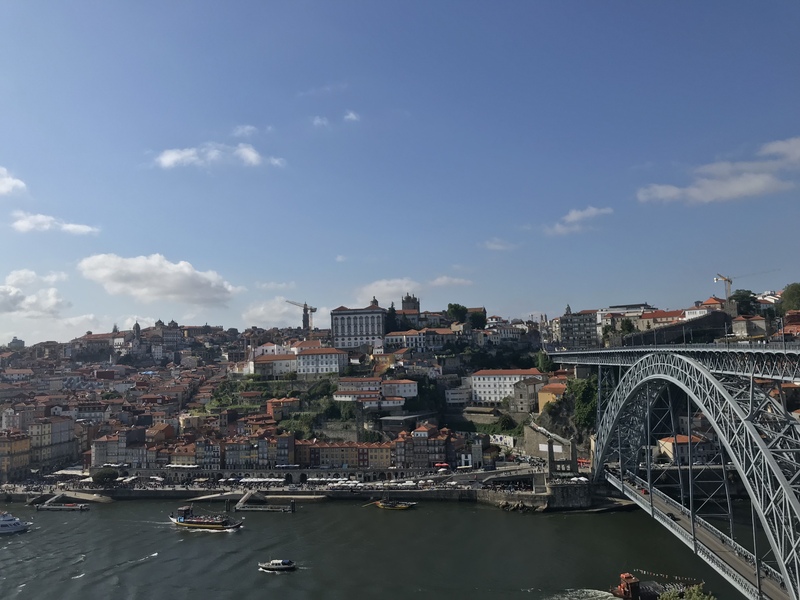 Gaia is a separate city facing Porto. 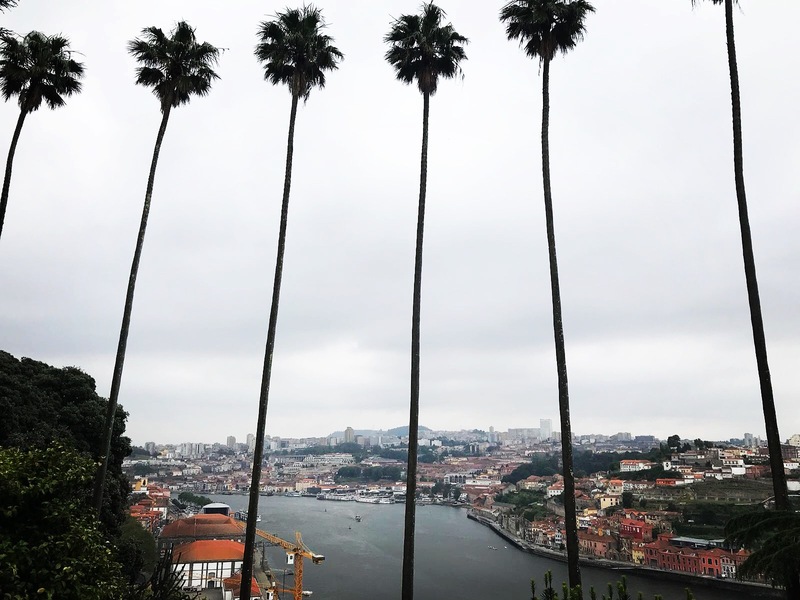 It is a great place to go for a walk on the waterfront and visit some of Porto’s most famous wineries. 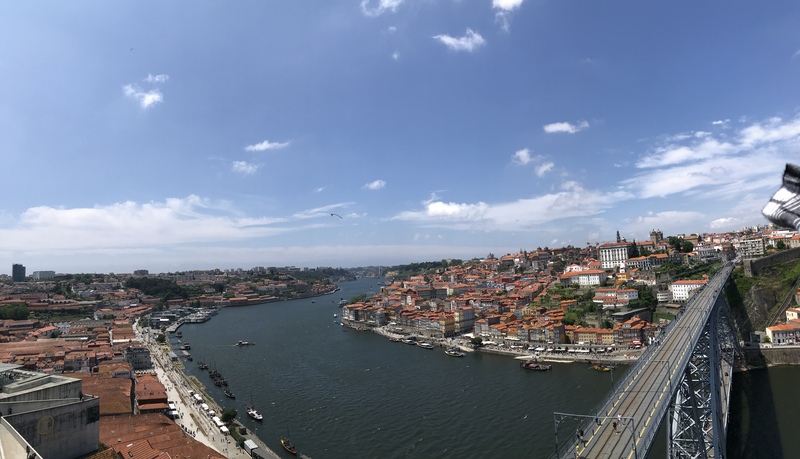 After stopping at Espaco Porto Cruz rooftop bar, from here there is an incredible view of Porto across the river. With beer and Gins with a fab view. Unfortunately as we had just eaten we didn’t get to try any food but bits we saw did look great. ** Highly recommended place to visit. 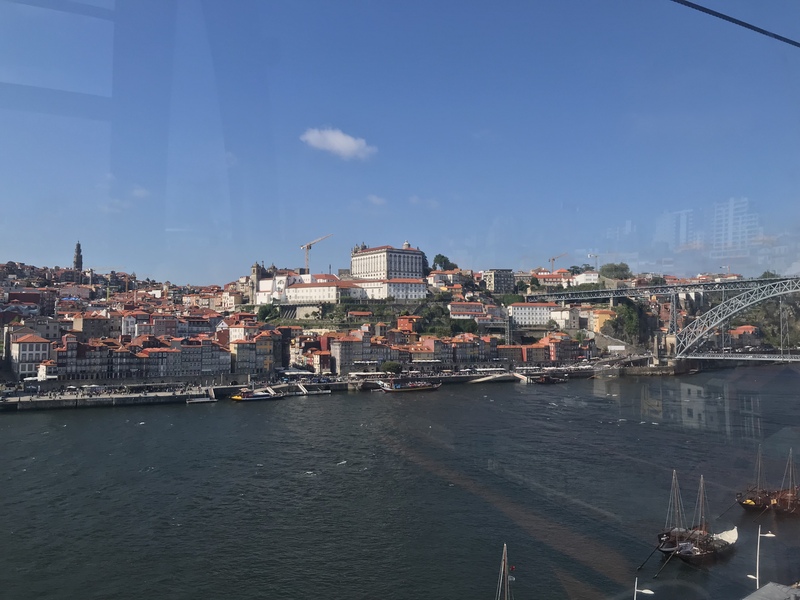 For another great view of the city I would recommend the cable car not far from Espaco Porto Cruz. 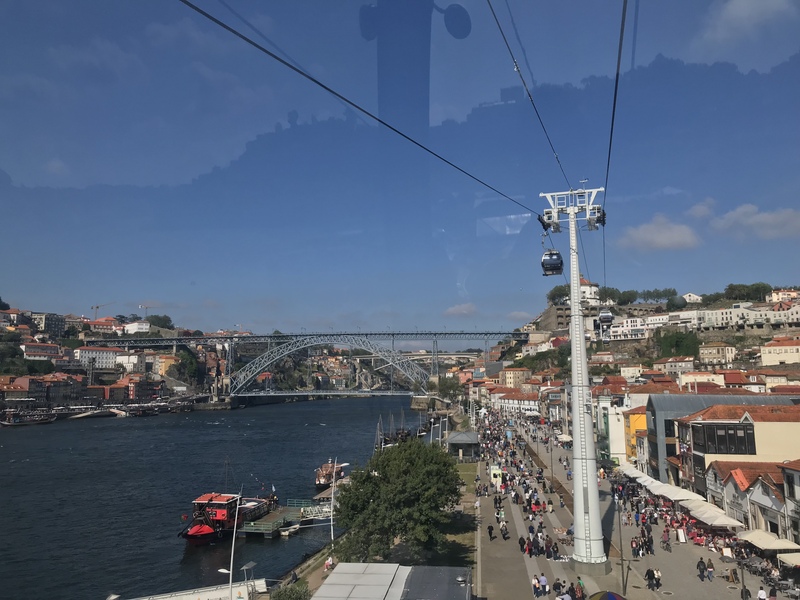 The cable car to the top of Luís I Bridge for 6 Euros. The walk back across the bridge gave yet another amazing view!!! 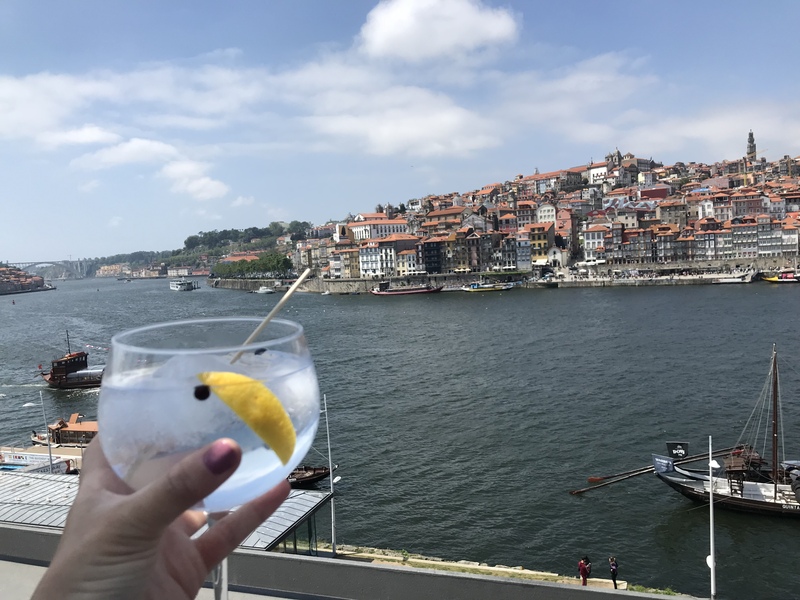 Our night was spent having drinks by the river front and before our meal on the Ribeira. 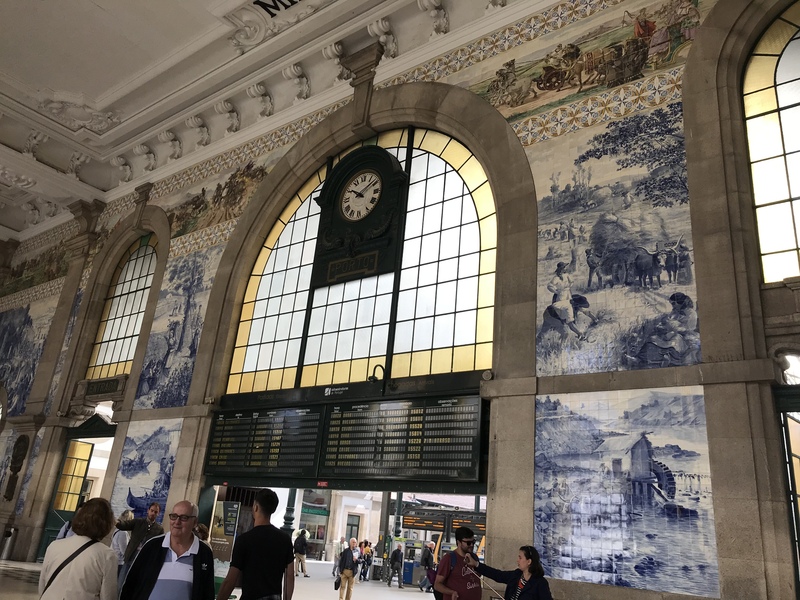 For our last day we dropped our bags at the Sao Bento station for 6 Euros. One of the most beautiful train stations I have seen!! We wandered up to the north of the city away from the river and did a little shopping. One of my favourite things in a new city seeing what the shops have to offer. There’s always such nice clothes and jewlery different to what you find in the UK. Calling for drinks at a cool bar called CAL overlooking the top of the bridge before heading over to the other side. 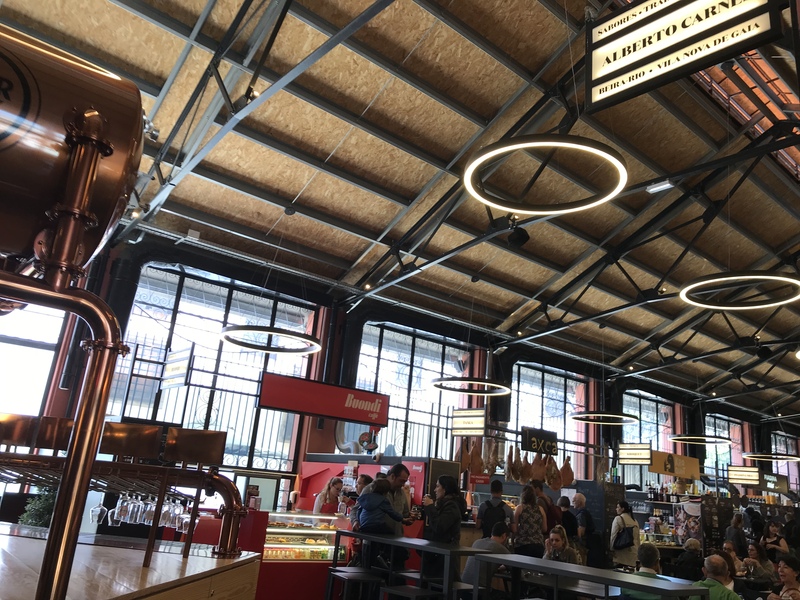 After we visited Mercado Beira Rio yet another food/market hall we have found in Europe. 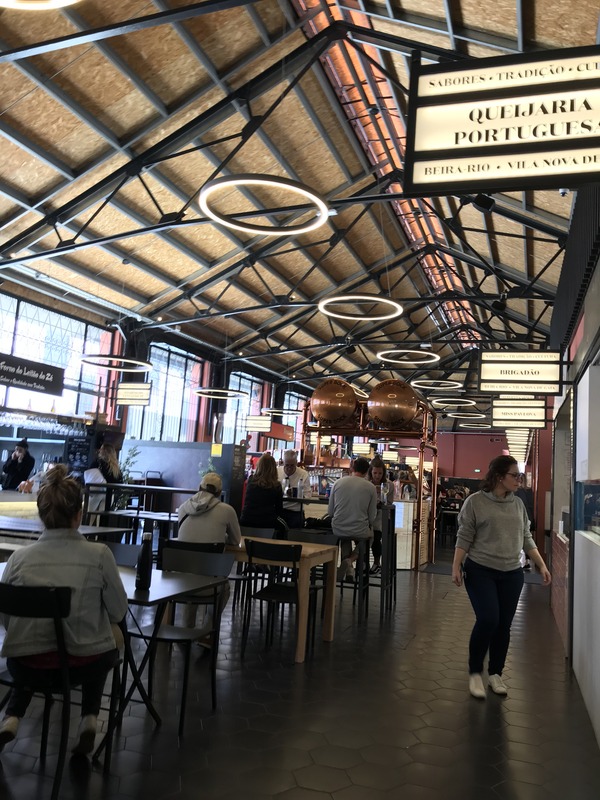 The market was full of shops, bars and food stalls a great place to try new food and drinks from the local area. 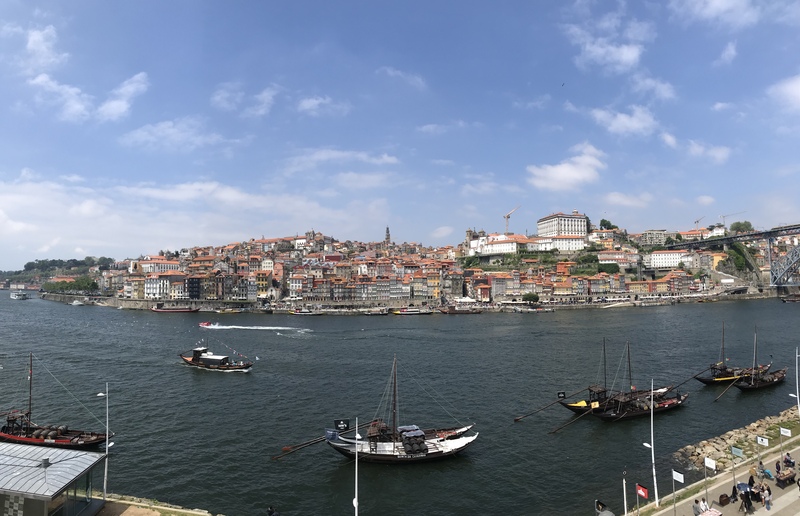 For the last few hours we bought churros from the riverside and sat and enjoyed our last view of Porto. One of my most favourite up there. 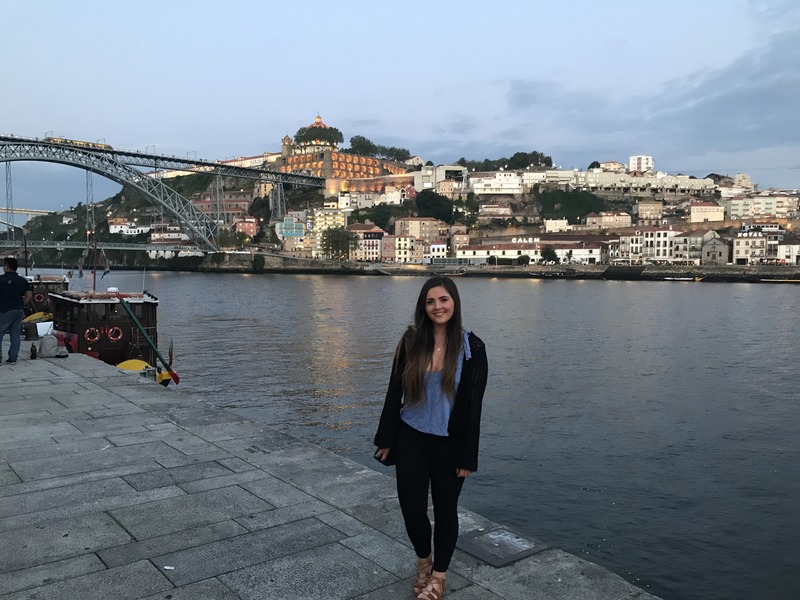 I did not expect how much I would love my time in the cit of Porto. 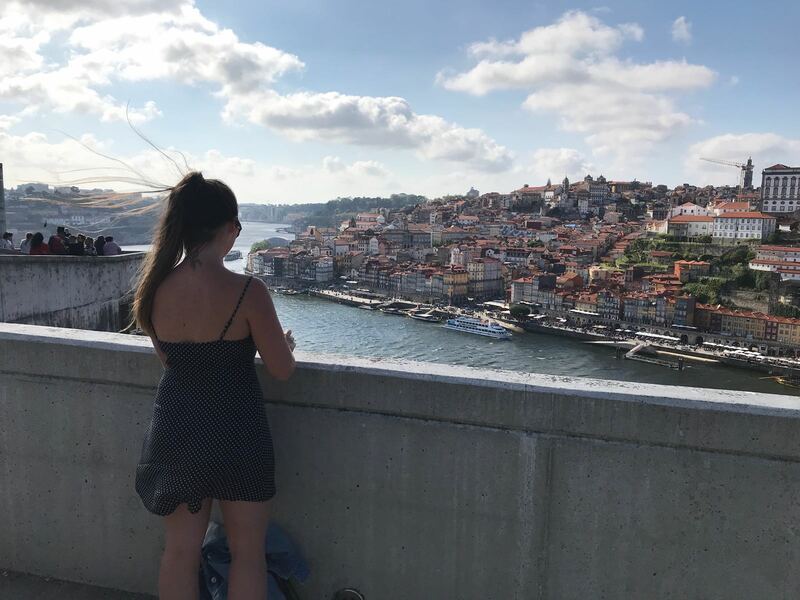 I had always wanted to go either there or Lisbon but when flights were cheap we took our opportunity and it did not let us down. 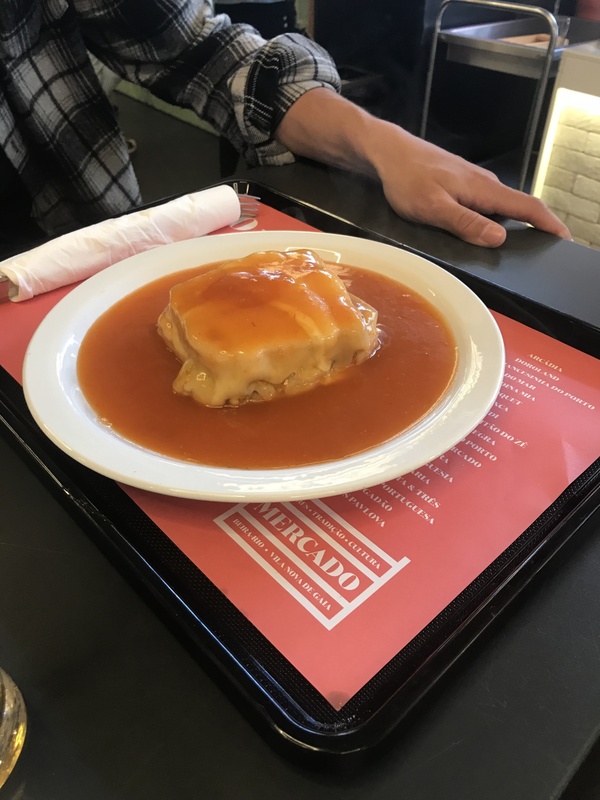 We had an amazing time eating our way around the city. From start to finish I loved every second we spent in this city. I would highly recommend a visit and I will be back myself.